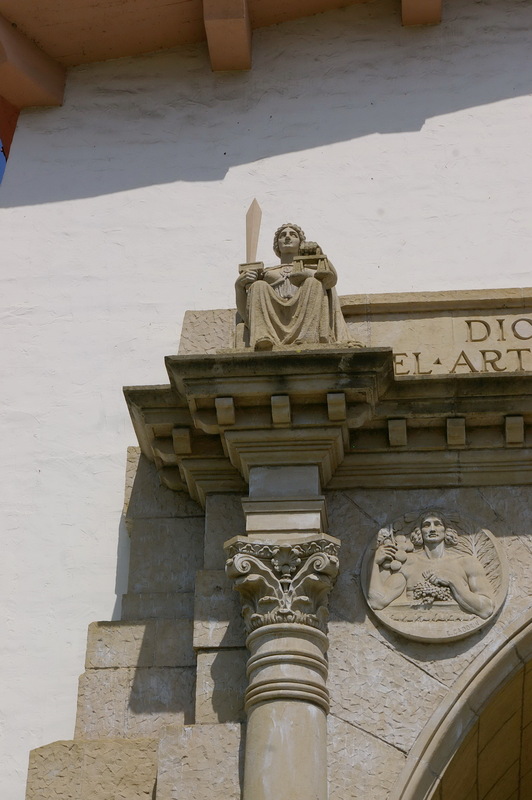 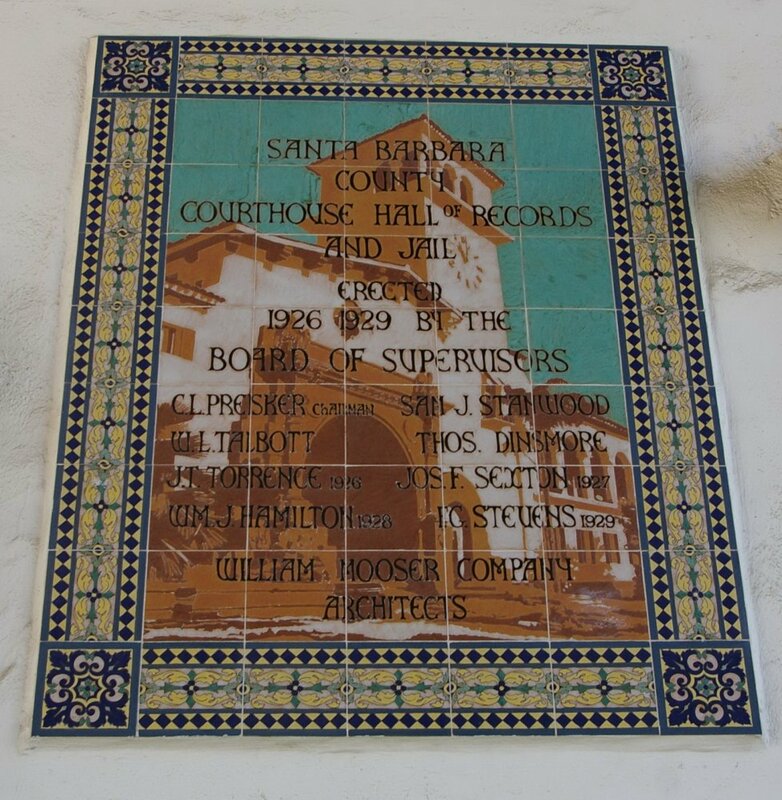 Santa Barbara County is named for the Spanish for “Saint Barbara”. 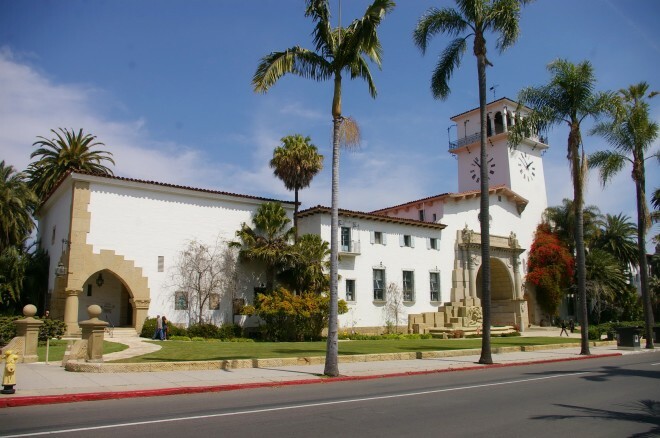 Description: The building faces southwest and is a two story white colored stucco, sandstone, metal, terra-cotta and concrete structure. 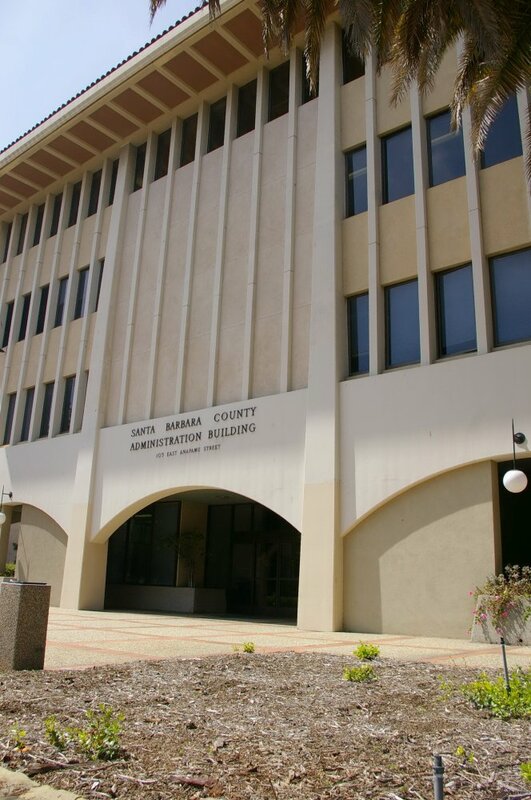 The courthouse consists of four buildings connected to form an “L” shape. 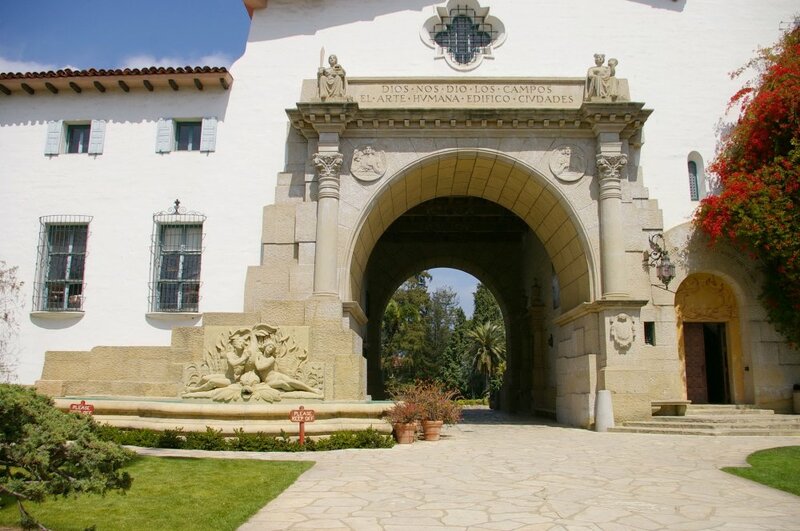 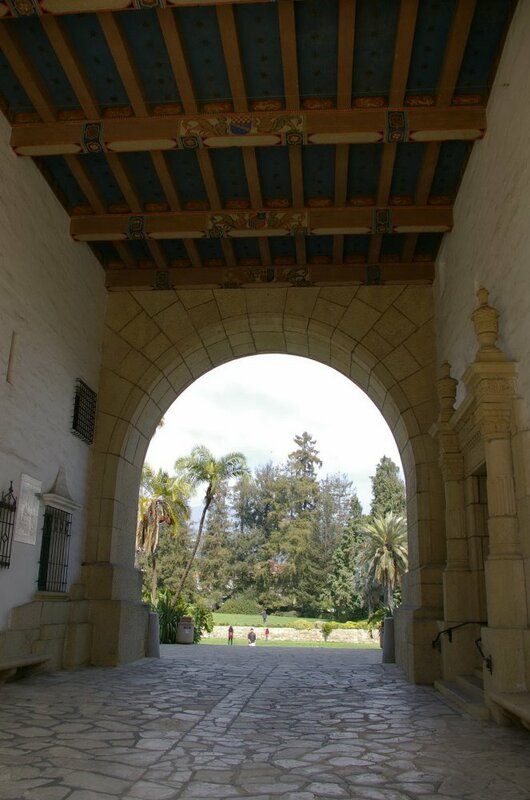 The southwest front has center section with large arch and passageway to the sunken garden on the northeast side. 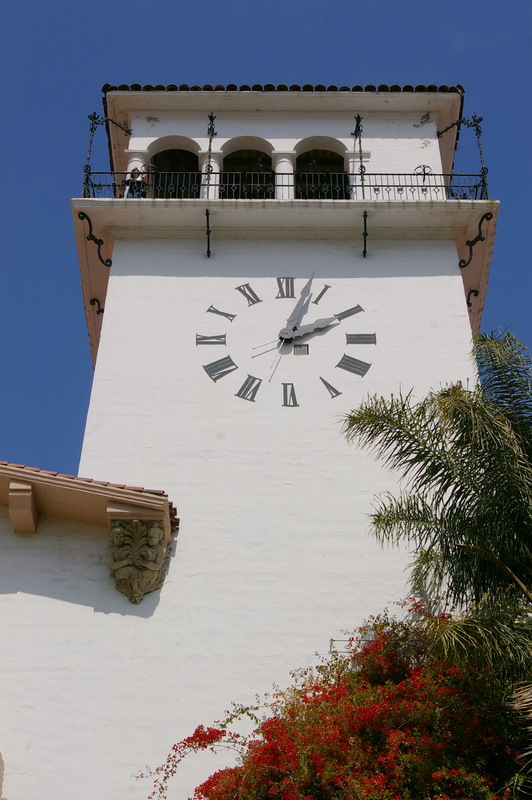 Above this section rises the El Mirador Clock Tower with observation deck on the fourth story. 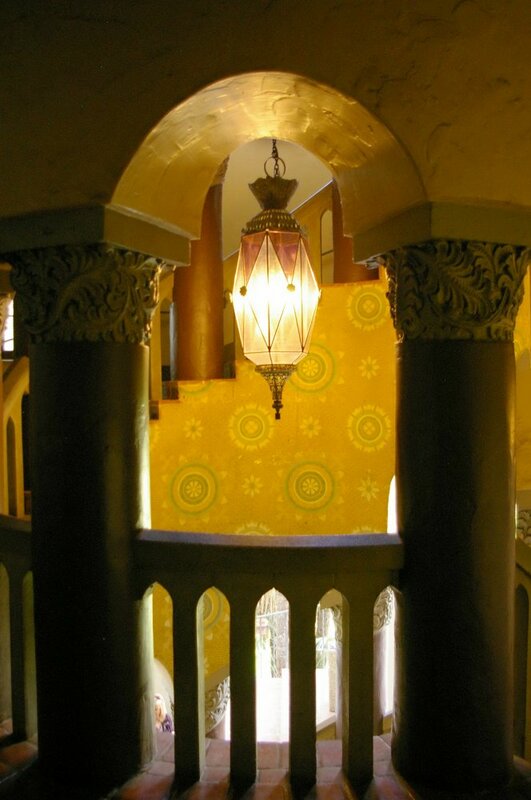 At the intersection of the south and east wings, is a rotunda with a defensive round tower. The Anacapa Gallery extends northwest and contains the Mural room. The Figueroa Gallery extends northeast The northeast corner of the building is defended by means of a turret with lancets, machicolations and embrasures. 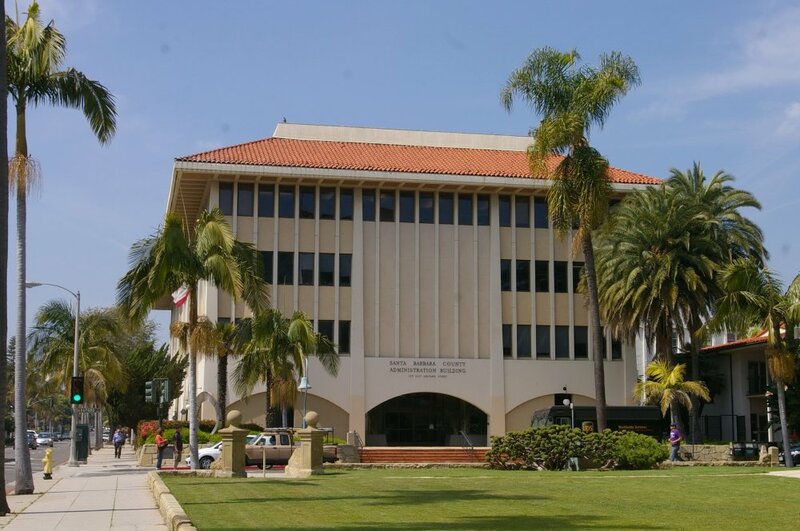 The Hall of Records is a square building at the northeast corner. 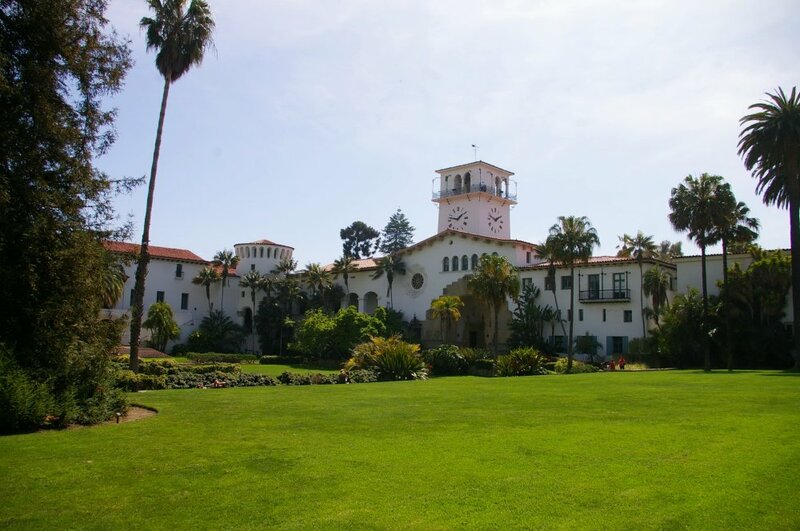 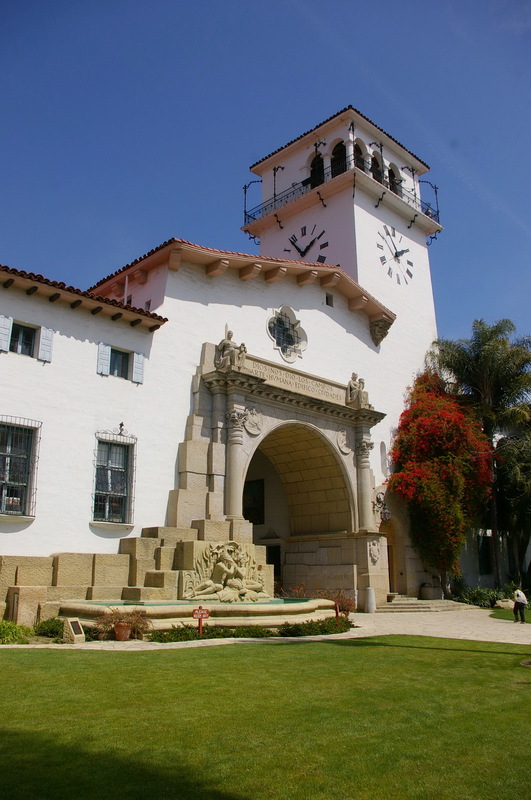 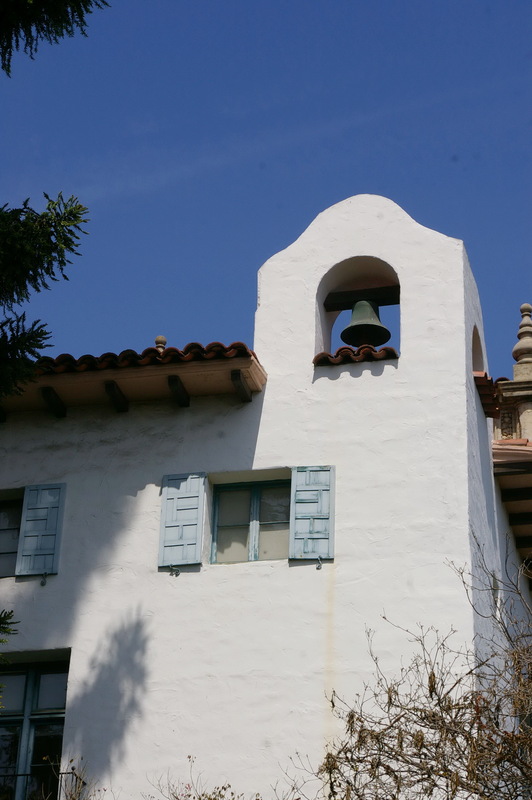 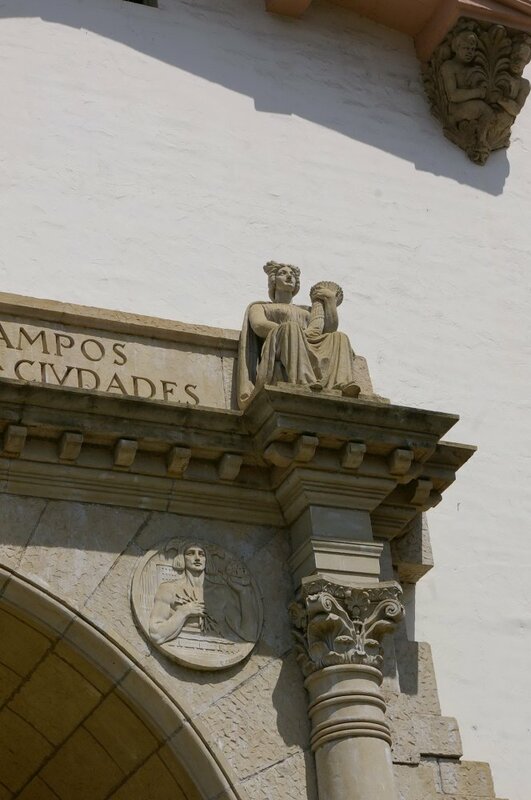 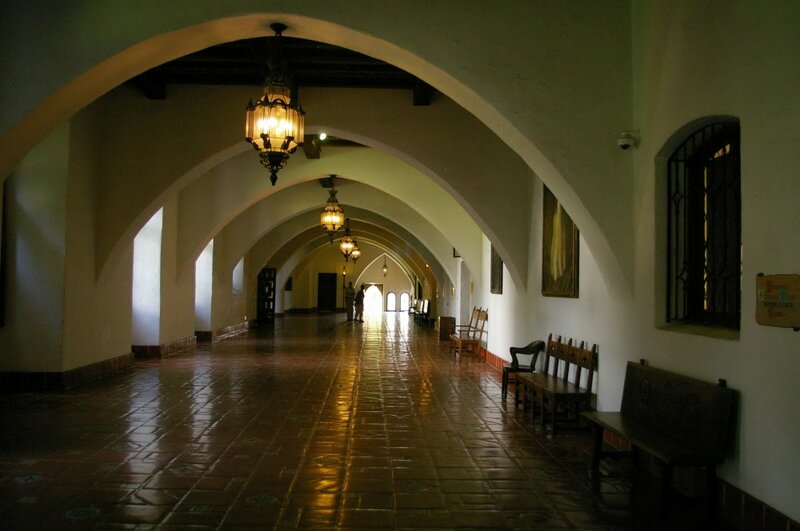 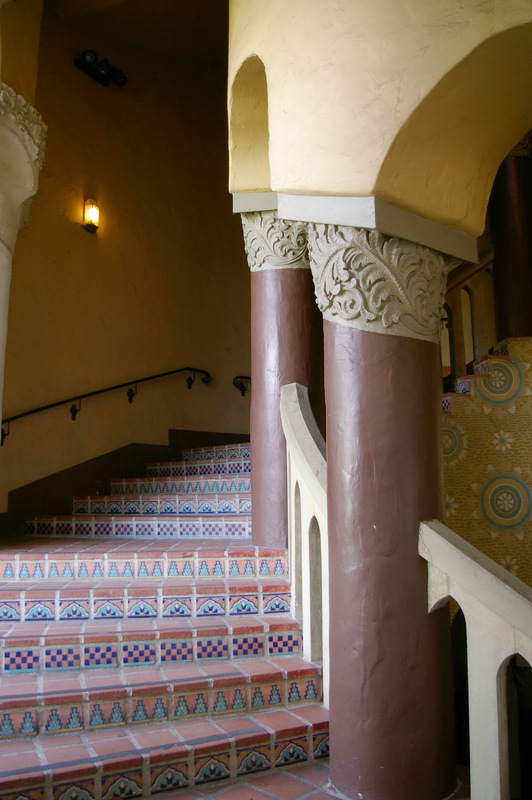 See: National Register of Historic Places – Santa Barbara County Courthouse. 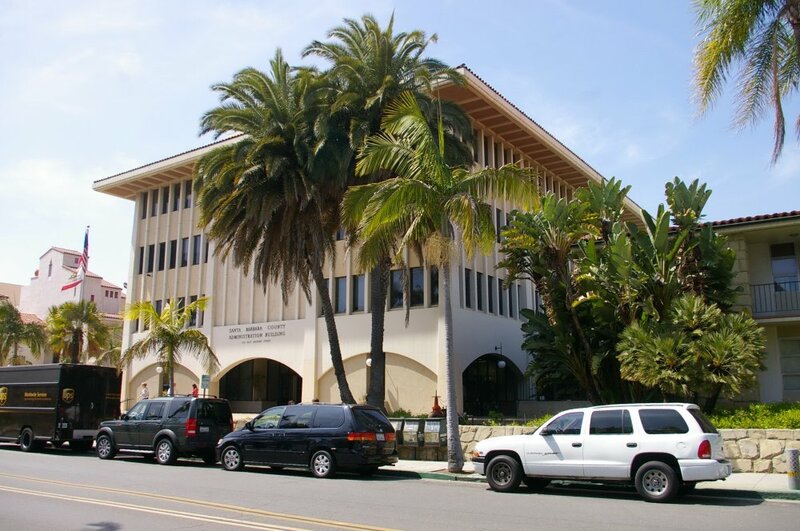 Description: The building faces southeast and is a four story yellow colored stucco and concrete structure. The southeast front has a large arch on the first story. Vertical dividers run between the windows. 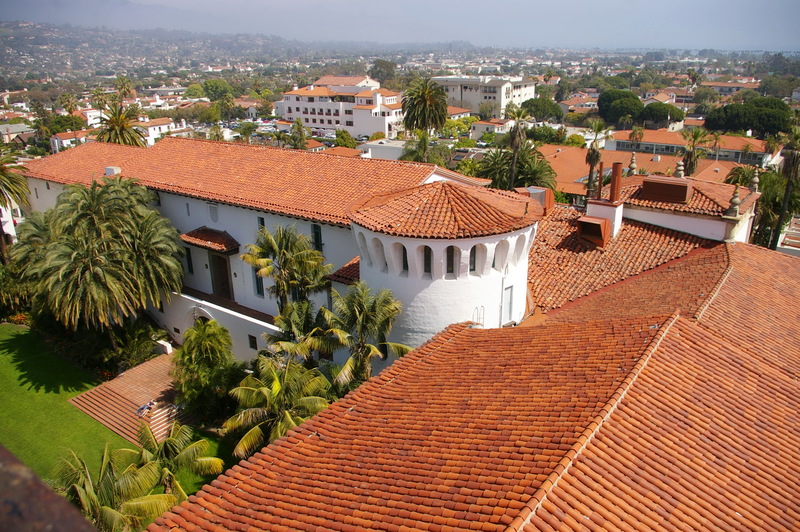 The red colored tile roof is sloped along the outer edges.